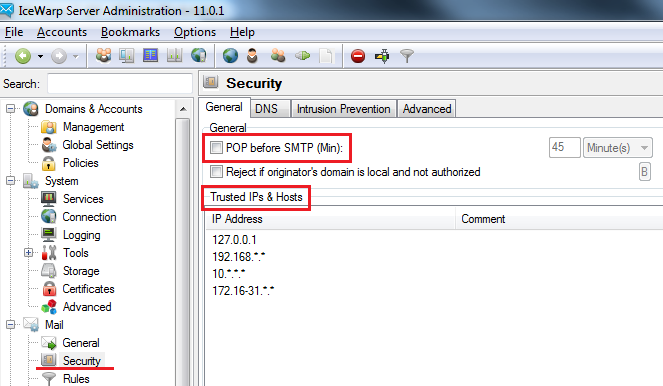 Trusted IPs & Hosts - This allows you to directly authenticate any sender who relays from IPs specified in the list. 127.0.0.1should always be there, this is the local IP address of the hosting machine. The IP of your server and internal LAN IPs should also be there. Other IP address should be added only if they are to be trusted. 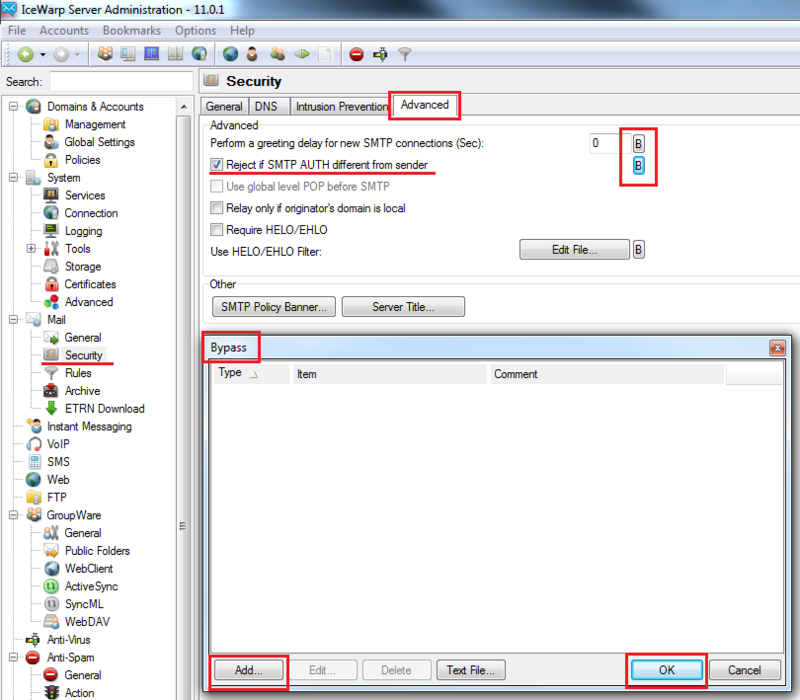 Any senders coming from other IP addresses need to authenticate themselves by one of the following methods.